Despite being completely destroyed in 1945, Hiroshima has rebuilt and now rivals Osaka with over 2 million residents in the metro area. 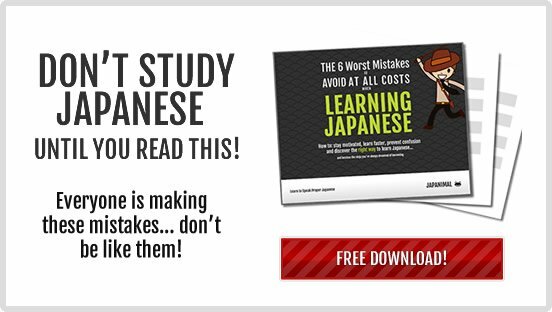 Hiroshima like Osaka is well known for its delicious cuisine and warm friendly people. It is arguably the home of traditional Japanese dish ‘okonomiyaki’, a savory vegetable pancake, topped with a zesty sauce and mayo. 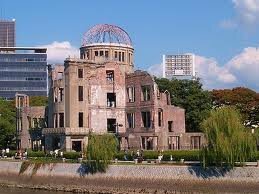 The most popular attraction in the city is the ‘Hiroshima Peace Museum’, which features among many things a damaged domed building which withstood the atomic blast. There is also a museum where people can connect to the past and gain an understanding and insight about what happened there. A few blocks East of Hiroshima Peace Park, on Heiwa-dori you'll find what many people vow is the best Okonomiyaki in Hiroshima. Okonomiyaki is Hiroshima's most famous local dish which simply consists of batter, egg and cabbage fried on a griddle, and then topped with a Japanese BBQ sauce, Mayo, nori flakes, shredded and dried pork flakes, and others. You can have your Okonomiyaki with bacon, shrimp, cheese or many other variations. Hassei is a favorite of the locals, so it is not very touristy; therefore you will won’t have to deal with long lines. We hope you're ready to get GOOD AND FAT. For you certainly will once you step foot into the building: Okonomimura, and begin your adventure. The building consists of 17 okonomiyaki shops spread over floors 2, 3, and 4, (The first floor one has Big Echo Karaoke and other shops). "What am I to do?" You might ask yourself. Each of the 17 shops has their own distinction that they sell in order to separate themselves from the pack. Our advice is to just scan through the website and read the description of each shop and pick the one that you dig the most! 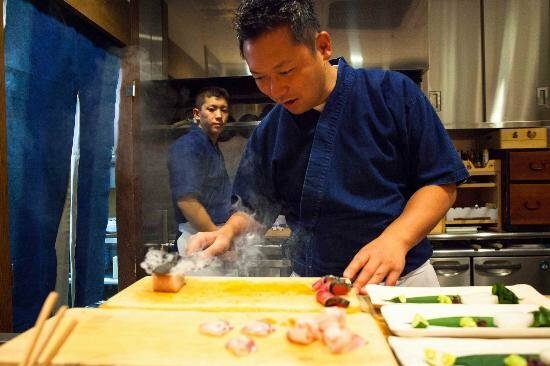 Located between Ebisucho and Kanayamacho stations, is a brilliant traditional high-end Japanese eating experience at: Kazura. However it comes with its price tag. 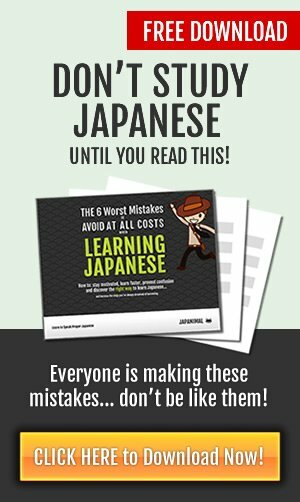 Be prepared to spend anywhere from $80 - $150 US for each person. The Kazura is a 'kaiseki' restaurant (Western equivalent is Haute Cuisine, where you are served a series of small and artistically prepared dishes) and highly recommended is their Sawada Tataki (salmon) and Sajiko (fish eggs). A surreal and sobering experience awaits any traveler bold enough to stand at the epicenter of the bomb which destroyed the city on August 6th, 1945; where collectively over two hundred thousand lost their lives. The Hiroshima Peace Memorial Park features an assortment of buildings and monuments, all in the name of world peace, understanding and the history of the city. The Peace Memorial Museum has a tremendous collection of personal belongings and items which survived the destruction, each one telling its own story. The unmistakable A-Bomb Dome (Hiroshima Peace Memorial) still stands and is the main attraction of the Park and serves as an invaluable window into the past. 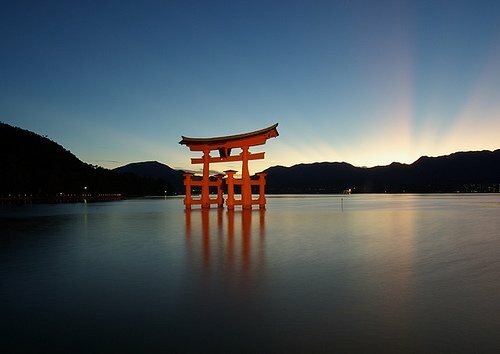 A short trip by train and ferry from Hiroshima JR brings you to the most iconic and photographed sight in Japan (comparable only with Mount Fuji), and that is Miyajima Island's floating Otorii gate at the Itsukutshima Shrine. The current torii gate was built in 1875 and stands at 55 feet tall. It was originally built in 1168 but had to be replaced as the wood only lasts so long, even with chemical treatment and paint. The Itsukushima Shrine was originally built way back in 593. It carried with it great clout and religious influence, viewed as a sacred place where commoners could not set foot. The shrine has suffered much damage through the years and has been rebuilt and renovated many times. Today it serves as one of Japan's top scenic views, tourist attractions and National Treasures. The original Hiroshima-jo was built relatively recently (as far as castles go) in 1589, however it was completely destroyed in WWII along with the rest of the city. Soon after in 1959 the castle was rebuilt and that is the current rendition that you see today. 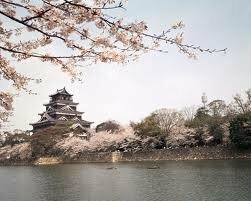 The castle is centrally located in the middle of the city, surrounded on all sides with a moat and cherry blossom trees. Visitors are permitted to ascend the castle and find a panoramic view of the city. 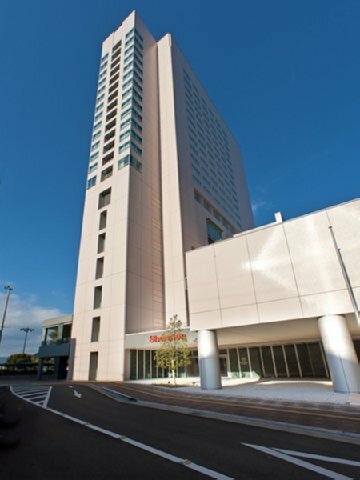 If you want the best in location, price and size of rooms then look no further than the Hiroshima Sheraton. 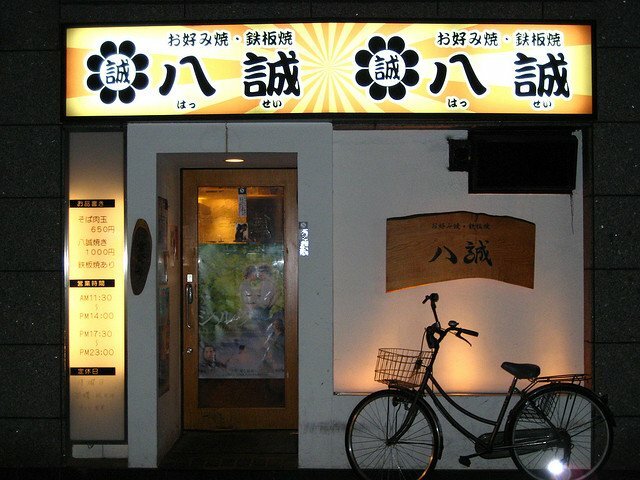 Located just behind JR Hiroshima station it is but a couple minutes walk to the lobby. 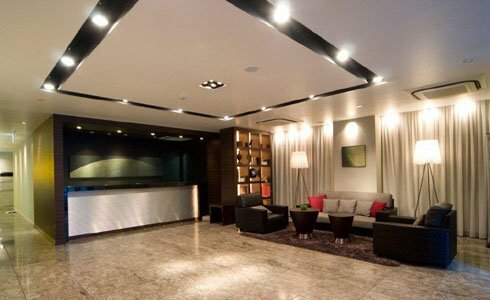 This is a newly built hotel so the rooms are very modern, clean and sophisticated. You wont find old and stale rooms and beds at the Sheraton. Only downside is the restaurant is expensive compared to the inexpensive local dining. Lastly, the staff are notorious for being very helpful and going out of their way. This Hiroshima branch of the new Hotel Franchise 'Active! ', raises the bar pretty high in regards to cheap rates and excellent rooms. 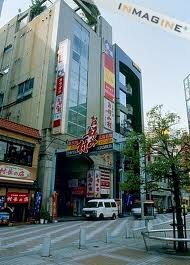 It is located a few train stations South of JR Hiroshima at Kanayamacho Station (next door to Chisun Hotel Hiroshima). This is actually a prime location, with very quick access to the city's sightseeing. Despite being small, the rooms are modern, fresh and very stylish. Dining options in the hotel are so-so, you are best to hit the streets come chow time. 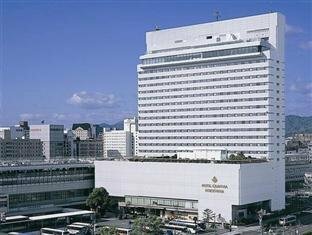 Like the Hiroshima Sheraton, Hotel Granvia is situated right behind the JR Hiroshima Station. In fact, the Granvia is attached to it, giving travelers an even more convenient concourse. The Granvia takes the Gold in all matches: outstanding restaurants and food, the most stylish and attractive rooms, the best location, and to top it off a very affordable rate. 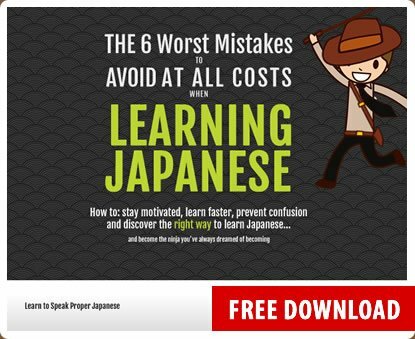 Oh and yes, free wifi; which is harder to find than you think in Japanese hotels. Depart from Tokyo Station via the Shinkansen NOZOMI 125, bound for Hiroshima. Depart from Osaka Station, via the JR Special Rapid Service, bound for Shin-Osaka Station.